MONOTEK® is the registered trademark for a specialized range of innovative and versatile, trowel applied, high build, commercial & industrial flooring systems, primarily based on the world’s highest quality and broadest range of methyl methacrylate (MMA) resin systems. MONOTEK® flooring systems are exclusively applied & supplied by D.P.J. Coating Systems Pty Ltd – Australia-wide. Rapid Setting flooring (When shutting down is not an option) – 1 hour fully cured. MONOTEK® MMA flooring systems are installed where normally upgrading or replacing the flooring system with other types of flooring such as epoxy floor paint, ceramic tiles or even vinyl sheeting, would cause massive disruption & inconvenience to trading, pedestrian & vehicular traffic or a complete shutdown of production areas. MONOTEK® flooring systems are fully prepared & installed professionally in stages overnight or when the specific flooring areas are not in use, thus avoiding any requirement to shutdown complete flooring areas. The MONOTEK® Flooring is fully cured and ready for full traffic, water & chemical exposure one (1) hour after installation is complete, at temperatures as low as -50°C. MONOTEK® flooring systems are used in operating freezers and extreme cold environments (down to minus 35°C) and will still cure in hours, not days. Seamless (Less joints required/ only major expanding joints required) and totally “grout-line free” flooring. Available in hundreds of Australian Standard colours (AS 2700), custom manufactured coloured sands and MonoChip® coloured chip finishes, to meet all flooring design and customer aesthetic requirements. Eroded or extremely damaged substrates can be resurfaced and repaired rapidly regardless of the thickness or depth of the repair using the MONOTEK® flooring system. Coving, skirting and vertical surfaces can be protected using the MONOTEK® flooring systems. Over 600,000m² of MONOTEK® flooring systems have been installed throughout Australia since 1977, so obviously given the choices available in applied flooring systems to Australian industries, our continued success is due to many factors including our ability to high level of professional technical services provided during specification and on-site assessments, experienced project managers and application team successfully completing large & small flooring projects on time, and the extreme versatility, durability and complete range of MONOTEK® MMA based flooring systems as compared to other epoxy floor paint, polyester, tile and MMA resin based systems. Also through continued extensive research and development, MONOTEK® flooring systems offer Australian industry the latest developments and improvements available worldwide in MMA polymer technology though our association with world leading manufacturers. Our unique total product performance & workmanship guarantee, provides our valued clients an “excuse proof” guarantee of both our products performance and the workmanship in the preparation & application of the MONOTEK® flooring system. No other major applied flooring contractor / supplier can offer this type of total guarantee as most use sub-contractors / or “approved” applicators to apply their materials. No sub-contractors or “approved applicators” are ever used to apply our MONOTEK® flooring systems where ever they are installed. Vikan has the solution to all your cleaning and hygiene problems. 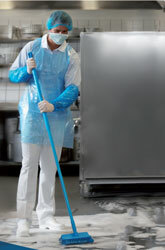 Through our many years' experience we have accumulated comprehensive product and development skills which make us your obvious supplier of cleaning implements and equipment. - Laminated "MONOTEK® care and maintenance instructions"
- All kits are available in Red, Blue, Yellow, Green, Black & White for colour coded, zoned cleaning. 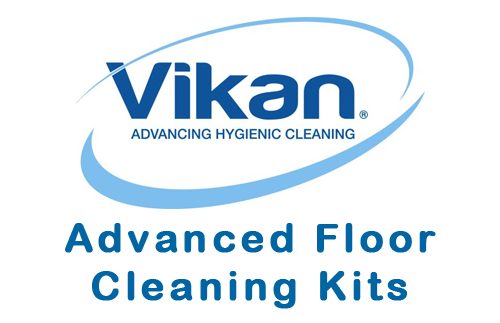 Click here to see/download the MONOTEK® Care and Maintenance Kit featuring specialised Vikan cleaning equipment for your MONOTEK® floor. MONOTEK® Flooring (D.P.J. Coating Systems) seeks to provide consumers with an informative and interesting site full of details about new and current D.P.J. products. At all times MONOTEK® Flooring will use its reasonable endeavours to ensure that all information is accurate. The site will be updated regularly by the D.P.J. sales and marketing teams. However D.P.J. provides no warranties in regard to the accuracy of the information. MONOTEK® Flooring (D.P.J. Coating Systems), and any of its associated companies will not be liable for any direct, incidental, consequential, indirect or punitive damages, costs, losses or liabilities whatsoever arising from use of this site. This disclaimer includes any damages, losses, costs or liabilities arising from a virus that is activated as a result of access or use of this site. Please note that any personal details forwarded to MONOTEK® Flooring by a user become the property of MONOTEK® Flooring and can be used without consent. Copyright. Graphic Imagery and text selections and all product information are Copyright © 2016, D.P.J. Coating Systems Pty Ltd. ALL RIGHTS RESERVED. When you participate on our website, your privacy is assured. Strict security is in place to protect your confidentiality at all times. At no time will information be revealed to outside sources. Should you no longer wish to receive information from us you can contact us to delete your details. Keeping your personal information safe and secure is of the utmost importance to us. We recognize that you are entrusting information to us and have provided this policy so that you understand how your information is treated.